Egypt and Art > Tour Map of Egypt > Tour Esna Directory > Modern Street Level vs. Ancient Street Level. 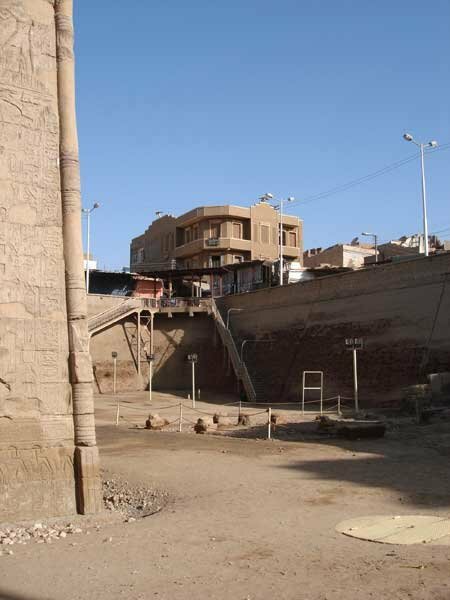 The temple of Esna is in the modern town of Esna. Because of the accumulation of debris and silt. It is now almost 30 feet below the present day street level. Stairs lead down to the level of the temple.